How do I make sure that my Will is legal? There are a number of formalities you’ll need to follow to make sure your Will is legally valid. If your Will is deemed to be invalid when you die, your estate will have to be dealt with as if there was no Will, being distributed according to the rules of intestacy and not as you’d requested. The good news is that the rules for making a valid Will are quite easy to comply with, so really there’s no excuse for getting it wrong. Made by someone who is at least 18 years of age. Made voluntarily and without pressure from anyone else. Made by someone who has mental capacity. That means they are aware that they are making a Will, they understand the extent of their assets and they understand who, morally, might have a claim on their assets. Made by someone who understands the contents of the particular Will. Signed by the person making the Will, in the presence of two witnesses. The Will does not need to be dated to be valid, but it is a good idea for the date to be included. There are no particular rules around who can witness your Will, other than they must be present when you sign it and must understand what they are doing. However, if a beneficiary of the Will (or their spouse or civil partner) witnesses the Will that person will not be entitled to inherit. Both witnesses should be over 18. Ideally they should to be traceable after you die, in case they have to give evidence about how the will was signed. They shouldn’t be a beneficiary of your Will (or the spouse or partner of someone who is). In fact no beneficiaries should be in the room when the will is signed. 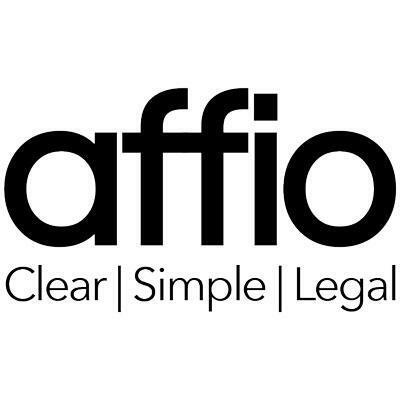 When you download a Will from Affio you will get full guidance on the signing formalities. Your Will is an important document and it doesn’t matter if you have a small amount or a grand fortune, the rules are the same. So doesn’t it make sense to take the time to make sure you get it right? Once you’ve written your Will online we’ll explain the simple steps you’ll need to follow to make sure your Will is legally valid. We’re always on hand if you need an extra help. After all, what’s the point of having a perfectly crafted will if when the time comes, it can’t be used? Do I need a solicitor to make my Will?